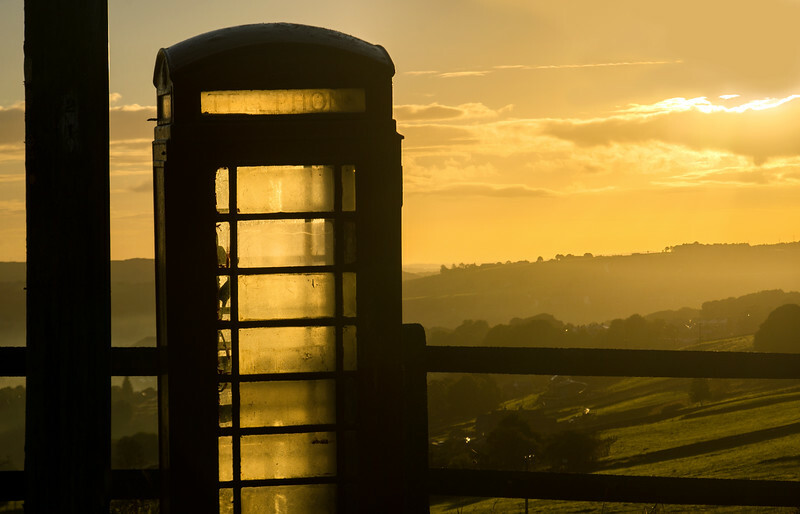 Telephone Box at Shield Hall Lane with morning misty clouds. Sadly, this old telephone box was hit by a car during the heavy winter of 2018 and is no longer there. The car had lost control heading down steep lane and hit the phone box.